In this week’s lesson we’re continuing with Katie’s second text. We’ll be taking a closer look at direct object pronouns and some further examples of the future tense as Katie talks about her plans for the coming weekend. 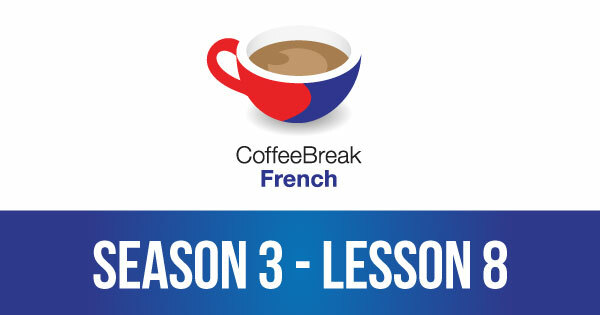 Please note that lesson 08 of Season 3 was originally known as lesson 308 of Coffee Break French. We have renumbered the lessons of each season as lessons 1-40 to make things more simple for our listeners. Access this lesson and all future lessons of Coffee Break French automatically by subscribing to the podcast. You can access the podcast on your computer, tablet or phone using the appropriate links below. Join the conversation with the Coffee French team on social media! We post regular language and cultural information on Facebook, and you can keep up with Coffee Break Languages on Instagram. 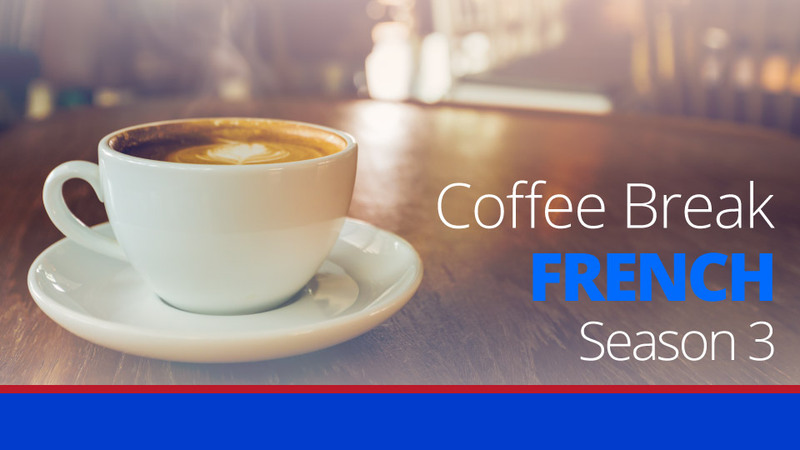 The premium version of Coffee Break French Season 3 provides additional materials which will help you move forward more effectively with your French studies. These are available on the Coffee Break Academy. Each lesson of Coffee Break French Season 3 features a full discussion of the text with extended audio recordings. Study the language of each lesson in greater detail and access additional information about French in our comprehensive lesson notes. Not quite sure if you’re ready to sign up for the premium version of Coffee Break French? Pas de problème! We’d love to offer you a free trial. Just enter your details below and we’ll send you an email to confirm your level and get you set up with the first three lessons of the course absolutely free, with no obligation!